After winning the Vermont State Championship with Enosburg High school boys varsity team in 2017, Matt went back to coaching at college level at Clinton Community College in Plattsburg, NY. This 2018-2019 season Matt will be helping coach men's basketball at Johnson State College in Johnson, VT.
Matt worked 9 seasons as an associate head coach for women's basketball team at Syracuse University. Before that, he was an assistant coach for the women's basketball teams at University of Vermont (2002-2003) and Siena College, Loudonville, NY (1997-2002). 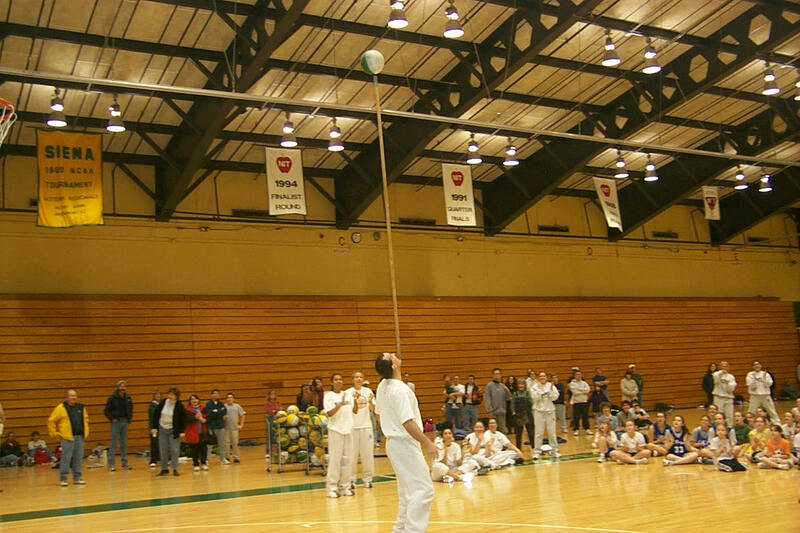 Matt received his undergraduate degree in physical education from Johnson State College. While there, he was a member of the Johnson State men's basketball team. After graduating from college, Matt worked as the varsity basketball coach at Richford High School, VT, where he was selected Coach of the Year. Matt then returned to Johnson State as an assistant, and he promtly helped guide the men to their best record in 20 years. Matt then accepted a position at the College of Saint Rose, Albany, NY, where he served as an assistant for the women's basketball team, and earned his master's in special education. During his three years at St. Rose, the women compiled an astounding 80-11 record. While at St. Rose, Matt started seriously practicing his basketball ball-handling skills with three and four basketballs. St. Rose also is a place where he met his future wife Ilze, who was a player on the women's basketball team. In addition to coaching college basketball, Matt has directed many camps in Vermont, and worked several others throughout the northeast. 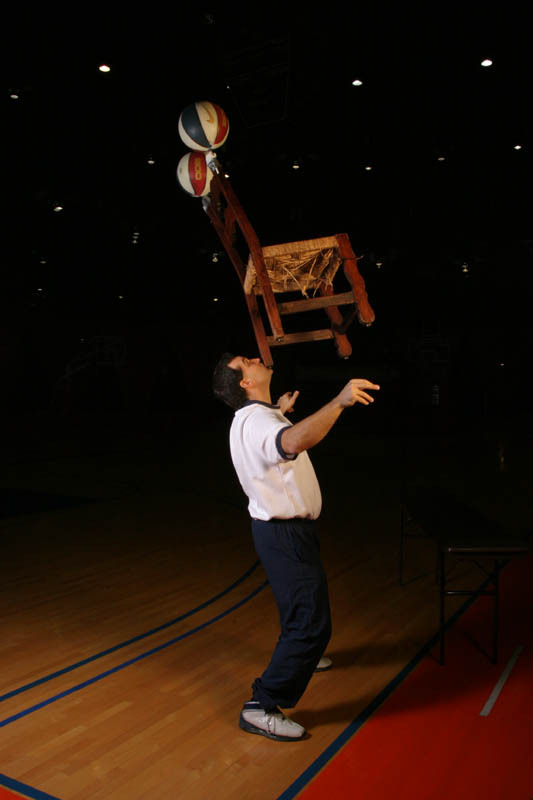 Matt used to perfroms all the "craziest" tricks in the show like balancing a chair on his chin while spinning two balls on top, balancing a table on his chin while dribbling two basketballs, juggling fire etc. Currently, Matt is The Pullup Jumper Guy for camps, and clinics, and individual workouts. Click here for Matt's poem "Life".